An original staircase design has a lot of power to uplift an interior. It can draw the eye upwards and add a lofty, impressive touch to the decor. So what are the best staircase designs around? Well, luckily, we have scoured our archives to deliver you some of the most beautiful and original staircases here at homify. The coolest thing about staircases is that they are often designed to fit into some pretty tight spots, so get ready for some pretty nifty designs. We hope you enjoy 8 of the most original stair designs we have found. Enjoy! 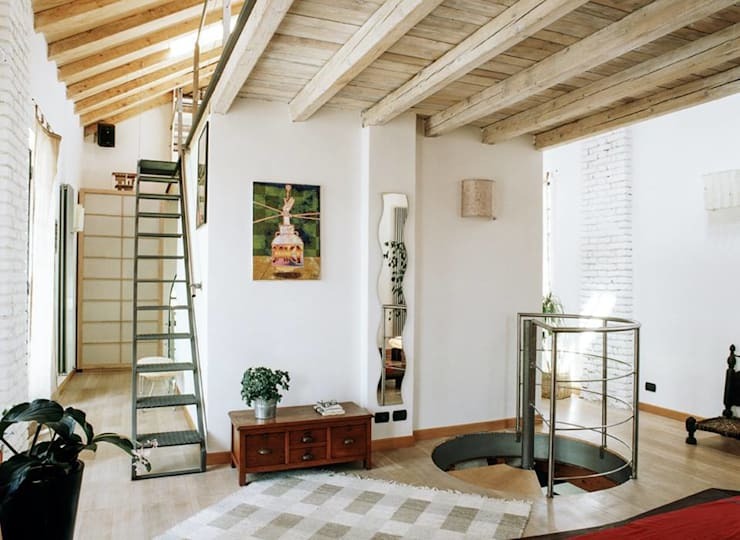 This original staircase combines the best elements in two materials. 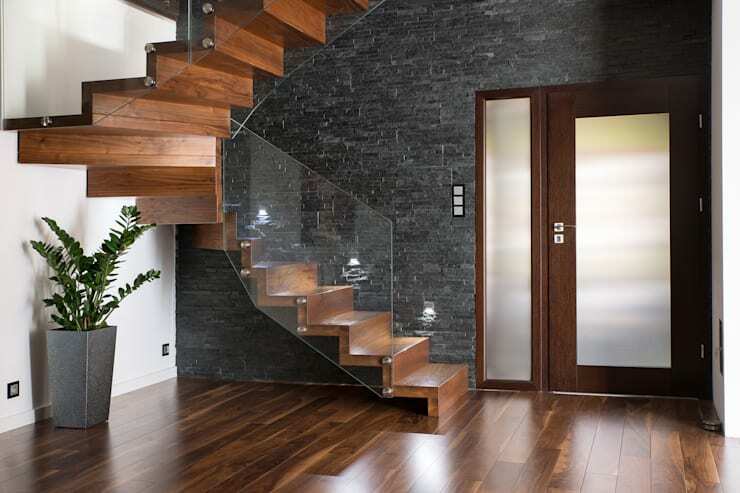 The chunky wooden steps are sturdy and comfortable, while the glass railing adds a lightweight, modern feel. 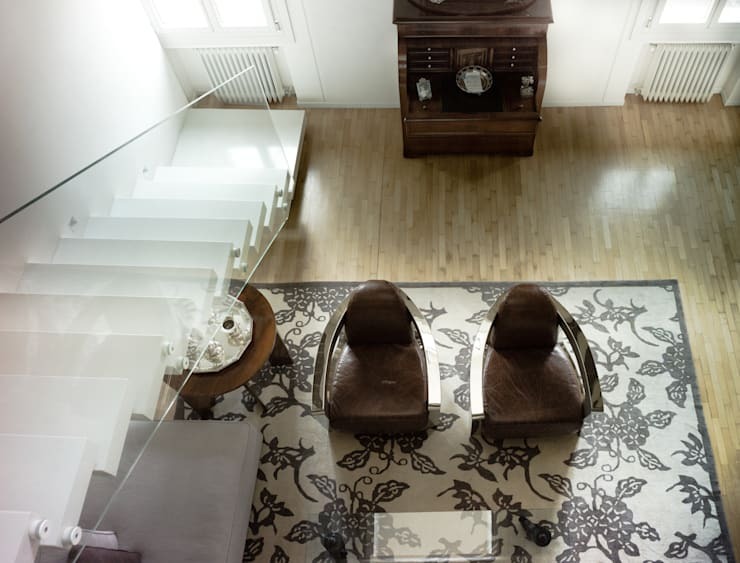 The Scandinavian-style stairs on the right of this living room are are very minimalist. They have been designed with the same pale wooden materials as the floors, so they blend in. They are also chunky and create shelf space as well. This staircase has a very classic, understated feel. The transparent glass hand-rail is teamed with minimalist white steps to create a very minimalist look. In this edgy modern staircase, the designers have shifted the handrail further out beyond the standard 90-degree angle from the landing. They have also shied away from the standard curves to give it a more modern look. 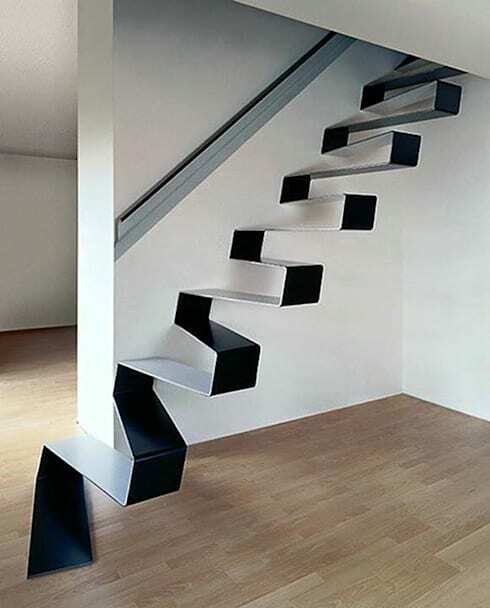 This awesome staircase has the risers completely removed. This gives it that floating, lightweight look. 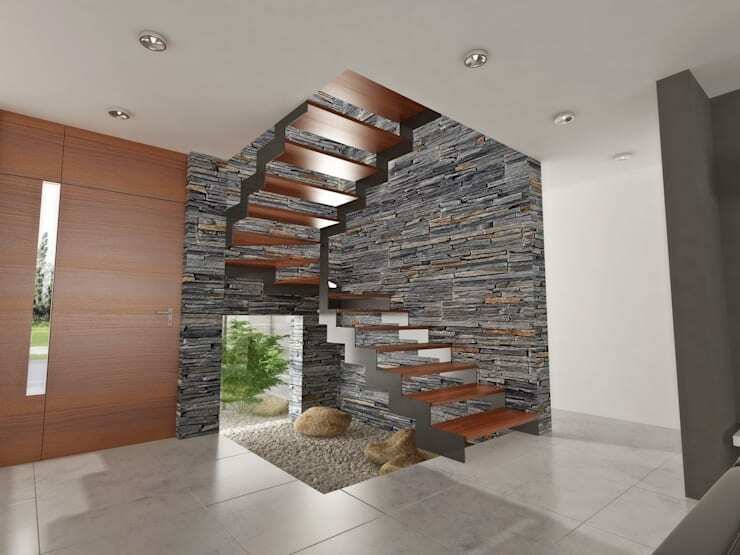 Note how the stair string—that is the dark geometric piece holding the stairs together—has the same tone as the stone walls. This geometric staircase design is certainly one for lovers of experimental staircase design. It's almost like a sculptural piece. Climbing this staircase would surely remind one of ascending a child's climbing gym! We really love the iron staircase on the left. It resembles the type of stairs often seen on the outside of industrial-style complexes, but it really suits this arty, loft-style home. 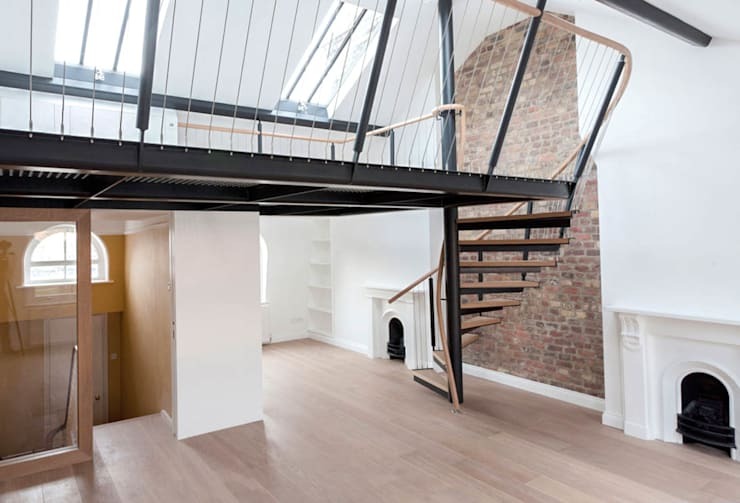 This little home has some stairs that could easily be mistaken for a few floating shelves. 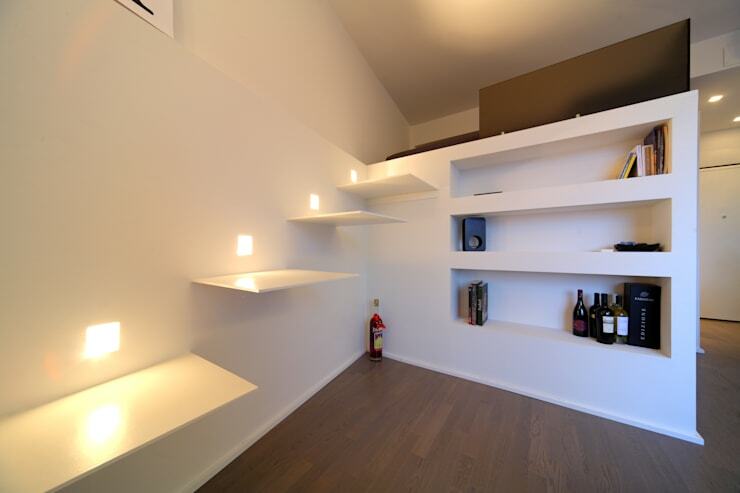 Each step is beautifully fitted to the space and has its own individual light! If this has you thinking about upstyling the hallway or entrance, you'll need to check out 10 chic and tiny home entrances you'll love. Which of these unique staircase designs is your favourite?